Enough of pumpkin, it's time for coconut! Okay, I have nothing against pumpkin, but it's time to include other ingredients in my meals. Seriously. I've been eating pumpkin almost everyday. 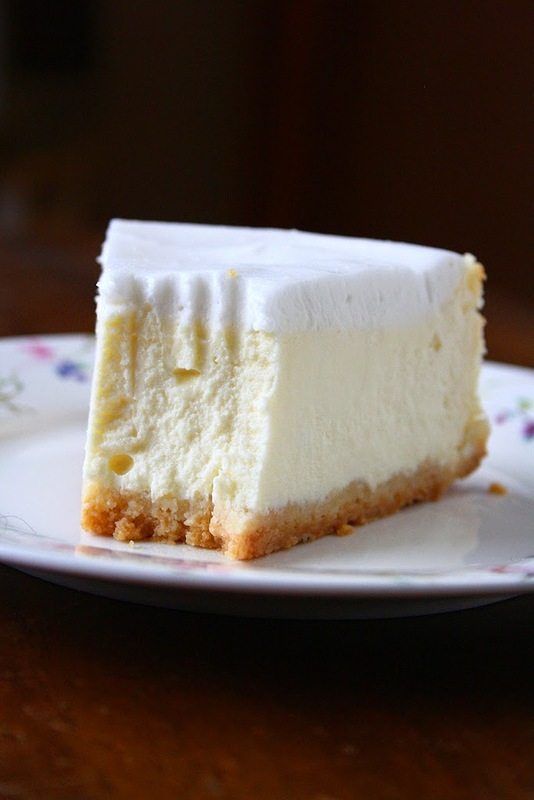 I haven't made cheesecake for a long time and when I saw a lonely can of cream of coconut in my counter, I realized that it's time to bake a coconut cheesecake. And I wasn't wrong. It was a perfect time. 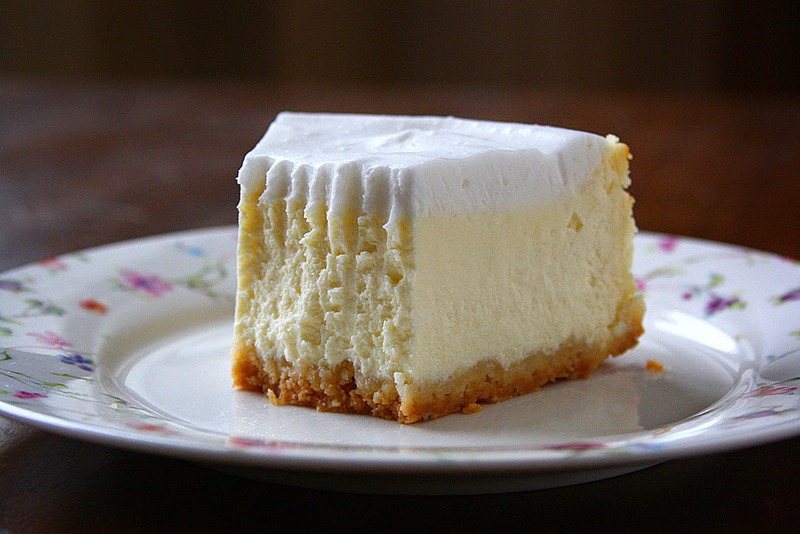 In fact, it's always a perfect time for a cheesecake. And the result? Absolutely perfect. 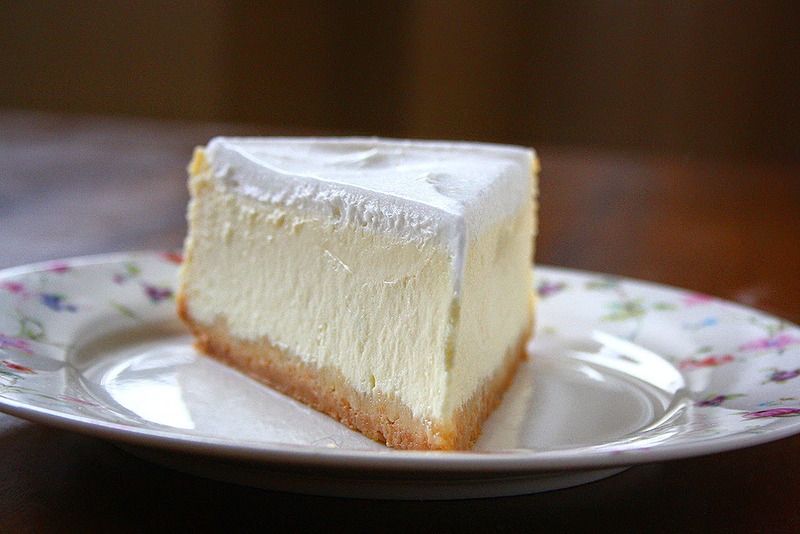 Creamy, smooth, not too sweet, light and without a single crack on top. But the best part... was the frosting. It was TO DIE FOR. Really, it was the most delicious coconut frosting ever. 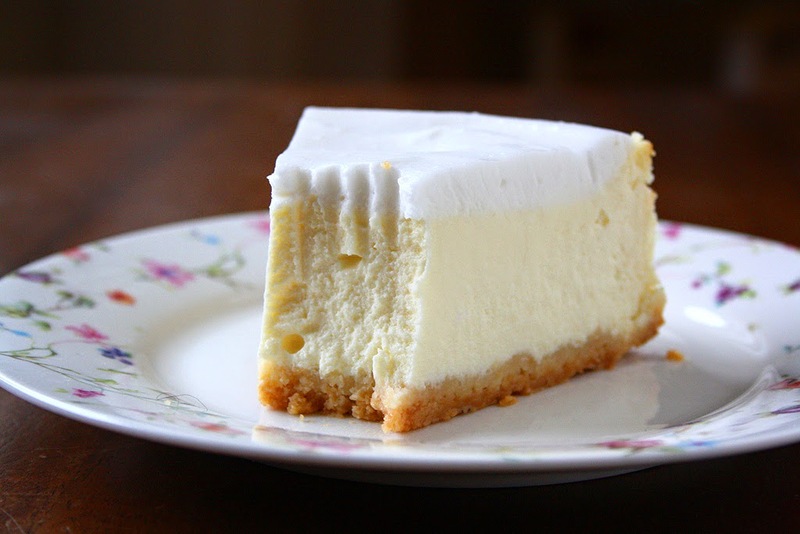 You must try this cheesecake. And you MUST try this coconut frosting. That's all you need. 1) Mix together graham cracker crumbs with butter and press into the bottom of a springform pan. Refrigerate while you prepare the filling. 2) In a bowl, beat together cream cheese and sugar. Add coconut cream, eggs, vanilla extract and cornstarch. Mix just until smooth. 3) Pour onto the crust and bake in a 180C / 350F preheated oven for 15 minutes. Reduce the heat to 120C / 250F and bake for another 60-90 minutes. 4) Let cool completely, preferably overnight. 5) For the frosting, beat together coconut cream and powdered sugar until creamy. Spread over the cooled cake. Refrigerate for at least an hour. Slice and enjoy! 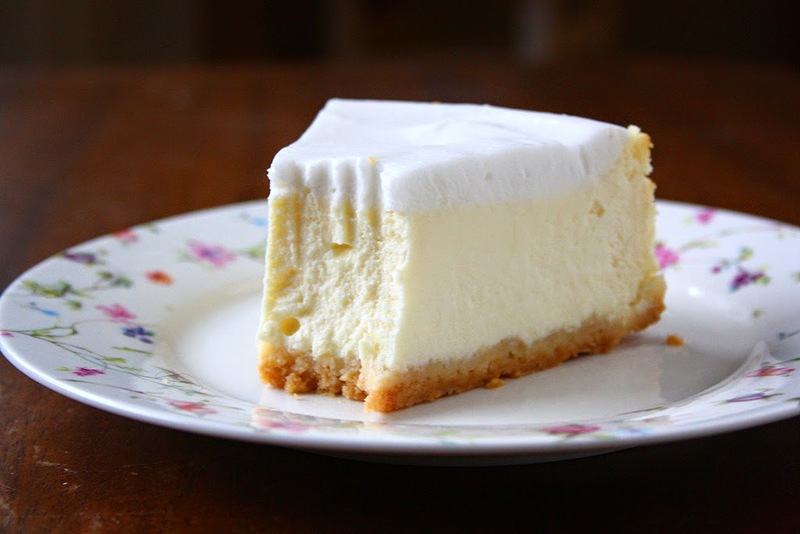 This is, without a doubt, the best looking cheesecake I've ever seen (and I love me a cheesecake!). Perfection. Silly question - is cream of coconut just the usual tinned coconut cream you use for thai cooking? Thank you! Yes - it's the same. I googled what's the difference between coconut cream and cream of coconut and I found out that cream of coconut is sweetened already while coconut cream is not. However, mine was labeled "cream of coconut" and wasn't sweetened. 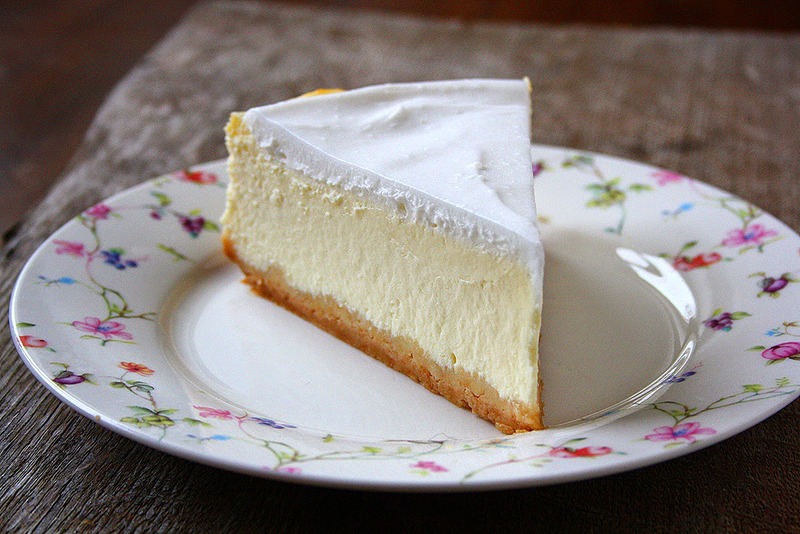 So you can just use a simple coconut cream! 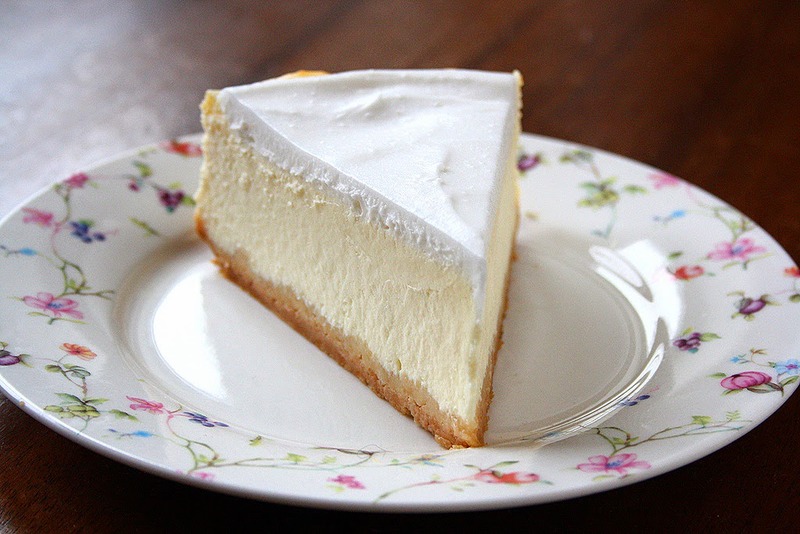 This coconut cheesecake looks perfect! 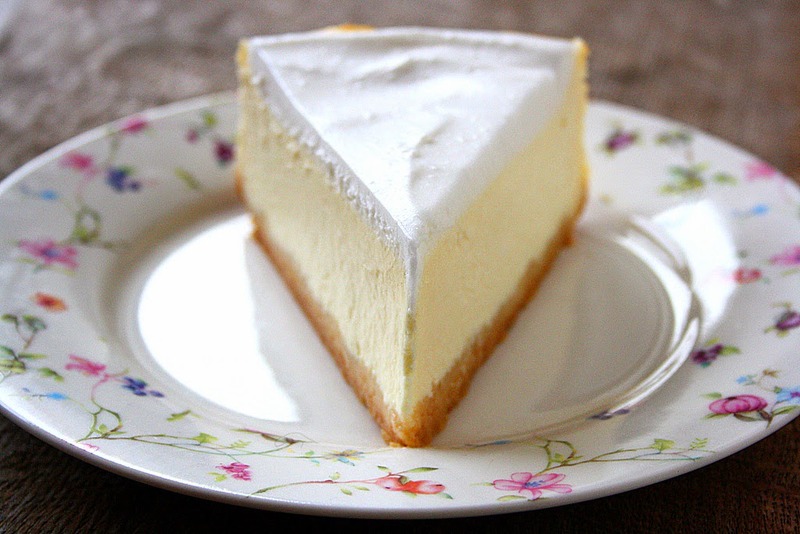 Totally craving a slice right now! Wow, I love how clear your pictures are. 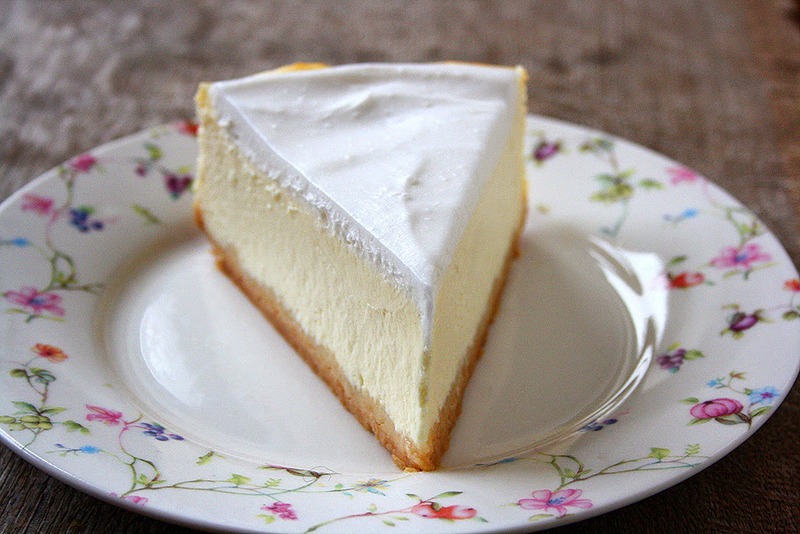 That slice looks perfect and I have no doubt it tastes just as good as it looks. Good job! Can You help me out on cooking temps..15min then 60-90 minutes I'm not familiar with C.? Sure! 180C = 350F; 120C = 250F. Thanks can't wait to try. do you use sweetened or unsweetened cream of coconut? 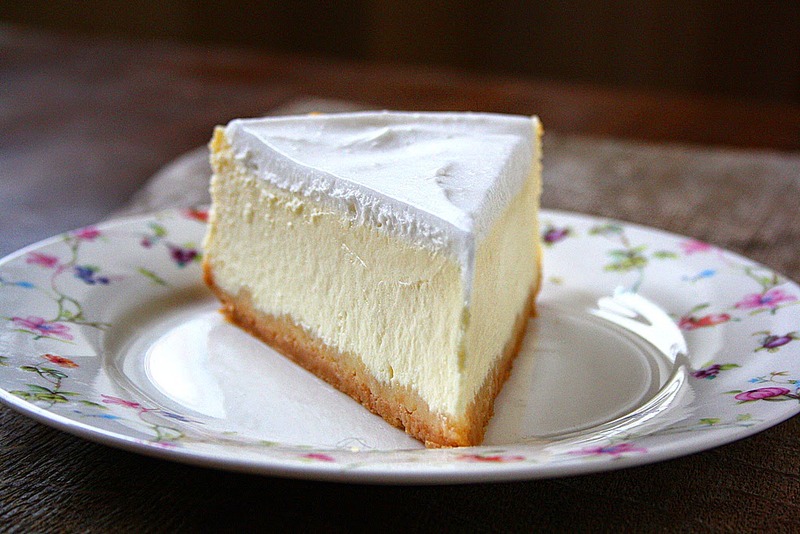 I used unsweetened coconut cream. Gaby, did you use a hot water bath to keep it from cracking? I did not. I never use a water bath and it somehow never cracks for me. However, if you use this method all the time, you can use it in this recipe too. I find that lowering the temperature after 15 minutes helps from cracking. I also try not to overbeat the cream cheese filling while mixing. 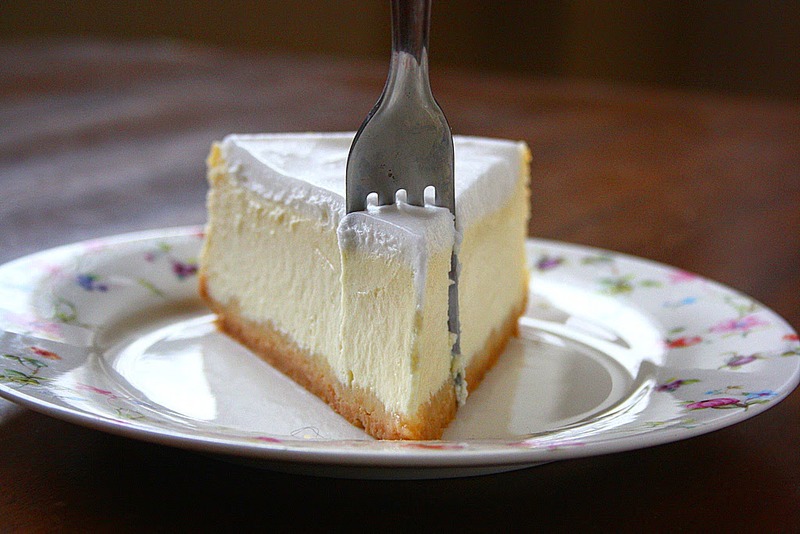 Also, if the cheesecake sticks to the edges of a springform pan when baked, you can run the knive around the edges before it starts cooling to prevent it from cracking. Just came out of oven...HELP...how long before release from pan? Cool completely out of fridge? You can cool it completely in pan. Once it has cooled completely, transfer and refrigerate overnight for the best results. I hope everything turned out well! 60-90 minutes is a long gap, how to know when to take it out?? You should check it after 60 minutes. It depends very much on your oven, but it has never taken more than 80 minutes to bake. Usually it takes 60-75 minutes for me. Just made this today but mine had bubbled edges and a sunken middle. What could that be from? It's difficult to say but you might have underbaked it. The middle should be just a little bit jiggly when you remove it from the oven. And I have no idea how these bubbled edges appeared.. I'd suggest trying not to overbeat the cream cheese mixture. I always like to whisk it better. You might also consider adding more cornstarch. Good luck!! I know I want to bake it and have my slice, after slice. oh man. Haha well, I hope my pictures convinced you to make it. Thanks!! To get the "creamed" coconut, should we put the can upside down in the refrigerator and then only scoop out the thick part or do we mix the water + cream? least a full description of can with brand name? I used Trader Joe's coconut cream (a dark brown can). You can use any brand, just make sure it is unsweetened! I'll get it there then. That's a massive amount of cream cheese! 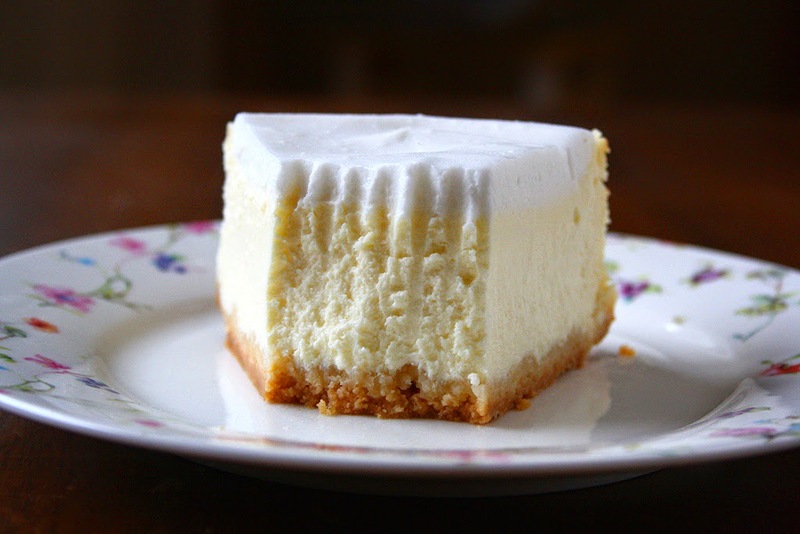 Could we halve the ingredients to create a smaller cheesecake? Hey Nikki, absolutely! Just make sure you use a smaller baking pan. Also, it will take less time to bake. I would love to try this but wouldn't we technically be eating raw egg if we don't cook it? I did the frosting with 1/2 cup powdered sugar and hdlf a can of the coconut cream. It was too watery, not thick or creamy enough. I halfed it and beat in some sour cream. If 1/2 cup powdered sugar and half a can of the coconut cream are too watery, what should the ratios be. Please, American terms: ounces, tbsps, cups. Keep adding powdered sugar a tablespoons at a time until it reaches your desired consistency. Nice thought on coconut cream! can't wait to try this recipe! What if I don't have spring form Pan, what else can I use.